The purpose of the Practical Kingdom Living blog would be to challenge the conventional thinking of our culture and share ways to do work, family, education, health, friendships, church, serving, and more according to kingdom principles. These would not just be cool ideas, but real stories from real people who are living “outside the box” and want to share with us the path they took to get there. Why are you trying to create a new, online community, when I already have you in community that is also trying to figure out how to live in the Kingdom of God every day? So, for now I’ve pushed the pause button on an online Practical Kingdom Living community/podcast so I can focus with the other elders at Journey on how our local community of faith can do this. Just as I had a sense that there was both an online community element and a story telling element of Practical Kingdom Living, I have a sense that there is an online community and a story telling element that God is calling us to at Journey. So, that’s where my focus is for now. (Well, one of my foci. 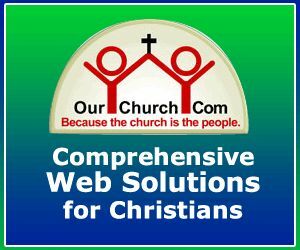 I am also learning to let Christ live through me as the CEO of OurChurch.Com, a husband, father of 3, and a few other roles.) Once I have more clarity on what we’re doing at Journey, I’ll re-visit whether God is calling me to start an online community/blog/podcast outside of what we’re doing at Journey. In the mean time, I’ll post thought-provoking content related to the kingdom of God here. Subscribe below so you don’t miss future content or updates. One of the many misunderstandings of the kingdom of God is that it’s primarily about social justice, social activism and making the world a better place. Yes, I realize that statement is probably going tick off a lot of people. It’s spot on and provides a lot insight into how Christian churches and individuals followers of Jesus can serve people in their communities in ways that point people to Jesus and exemplify what the kingdom of God is all about. 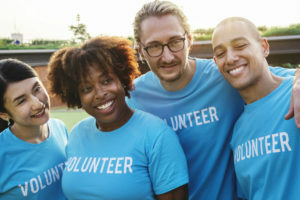 Do you think there’s a difference between kingdom work and humanitarian work? If so, how would you distinguish between the two?